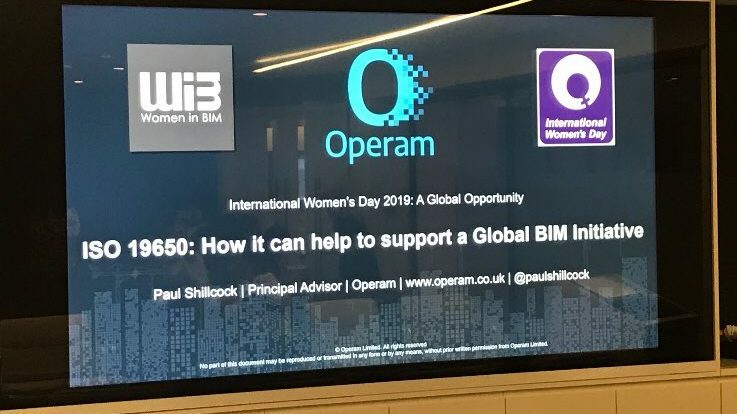 Operam founder Paul Shillcock was proud to be asked to support Women In BIM’s event to celebrate international women’s day 2019. 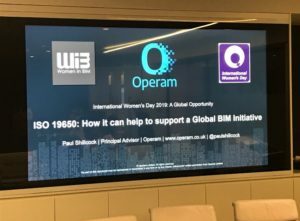 Women in BIM hosted this event at Multiplex Offices, London. This event is to celebrate International Women’s Day and securing Women in BIM’s first Annual Sponsor, Multiplex. With the aim to give delegates an insight into the release of ISO 19650 and its impacts on a global BIM community. Also discussing the work completed relating to Women in BIM globally. And how as a not for profit group, they can attract a diverse workforce and target skills shortages. Therefore, International Women’s Day (March 8) is a global day celebrating the social, economic, cultural and political achievements of women. Above all, this day also marks a call to action for accelerating gender parity. International Women’s Day (IWD) has occurred for well over a century. With the first​ ​IWD gathering in 1911 supported by over a million people in Austria, Denmark, Germany and Switzerland. Prior to this the​ Socialist Party of America, United Kingdom’s Suffragists and Suffragettes, and further groups campaigned for women’s equality. Paul Shillcock as author of ISO 19650-2 presented ISO 19650: A Global Opportunity overview to well attended event. 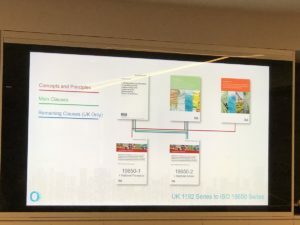 ISO 19650 published in December 2018, is a new international standard for the management of information, when using BIM. This new standard, therefore replaces the BS 1192 series. 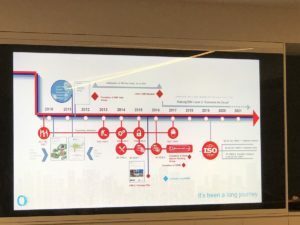 At the start Paul covered a timeline journey from 2010, where now we are exporting out services internationally. Because Paul explained how the ISO 19650 covers the concepts and principles, and ISO 19650-2 covers the delivery phase or assets. Paul went on to explain the Concepts and Principles, The Main Clauses and the Remaining Clauses (UK Only). Above all you’ll note from this image that it doesn’t cover other parts of ISO 19650. That’s because ISO 19650-3 and ISO 19650-5 are still in review. Therefore they are not yet published. However, they should be available in early 2020. 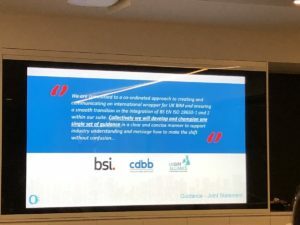 Paul finished his presentation by applauding the three main bodies in the UK, The Centre for Digitally Built Britain, the UK BIM Alliance and the BSI. Because they have come together to produce a single set of guidance. 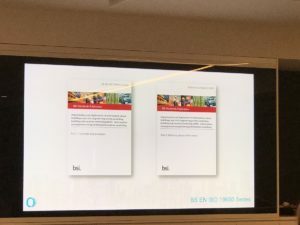 Paul believes it’s vital that as organization’s embrace these new series of standards that there is a single voice across the industry to aid that adopting. Rather than single voices, often with competing advice. Because this is not yet published, you should sign up to email updates from the UK BIM Alliance. So you’ll hear about it’s release in the coming months. Cristina Savian BE-Wise/Gender Diversity Advocate, presents: What can we do to attract a more diverse workforce to construction. And draw on the issues with skills shortages. Is the UK construction industry capable of multinational working? Therefore how do we attract and retain a more international and diverse workforce to support this? And to see all the events and good work by Women in BIM follow them on twitter here. You can learn more about ISO 19650 here.